SideJoints: Overlap; backerrod and caulk, extruded aluminum gasket, metal reveal. 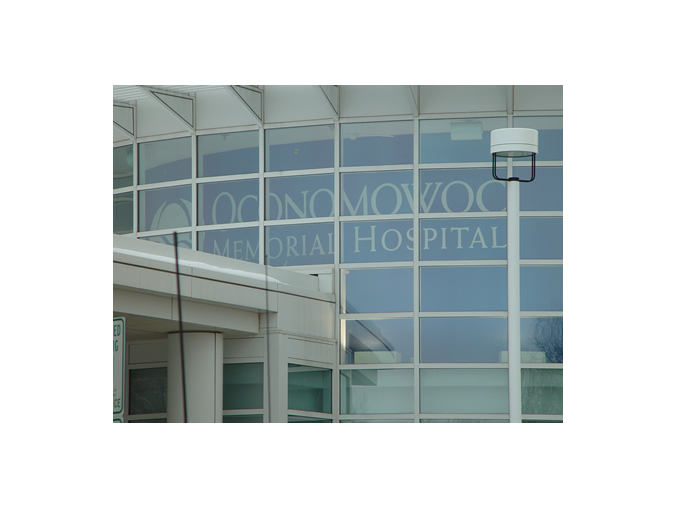 APW used products from 4 different manufacturers on this project. BR-28 from Morin was used horizontally on the screen wall. 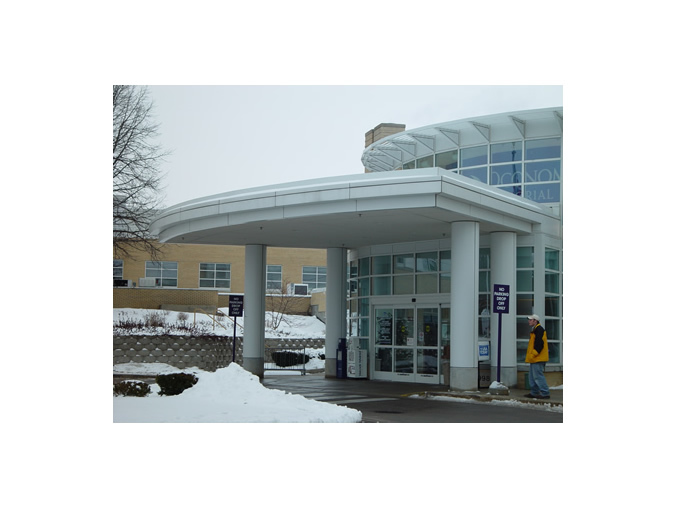 Alply's 0.125 aluminum plate was used at the entrance canopy and column covers. The plate system allowed for curving the fascia, which provided a sloped sill at the top of the system. 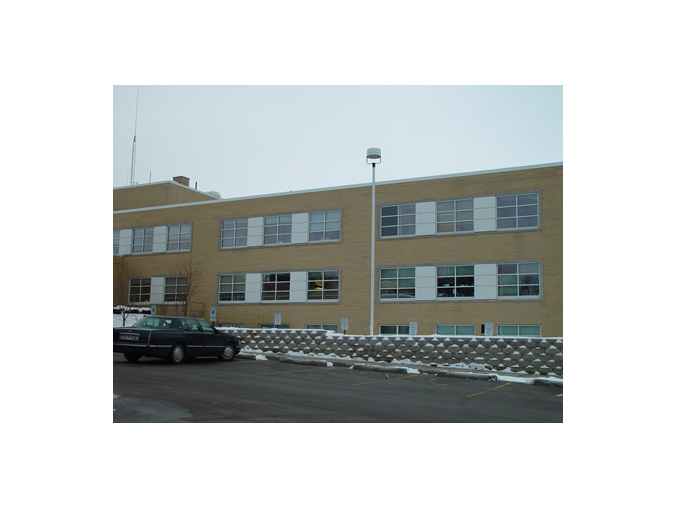 Alply's 9/16" snug seam with a 2" thick foam core was used to fill in between the windows on the new addition. All Fab's paper honeycomb core was used on the existing building to cover over and fill in between the windows. All Fab duplicated Alply's panel in appearance by using a painted metal reveal strip as compared to Alply's extruded silicone grey gasket. All Fab was required on the existing area because the existing condition only allowed for 1" core and did not require extra insulation. All of the products were painted with Kynar in a custom white.